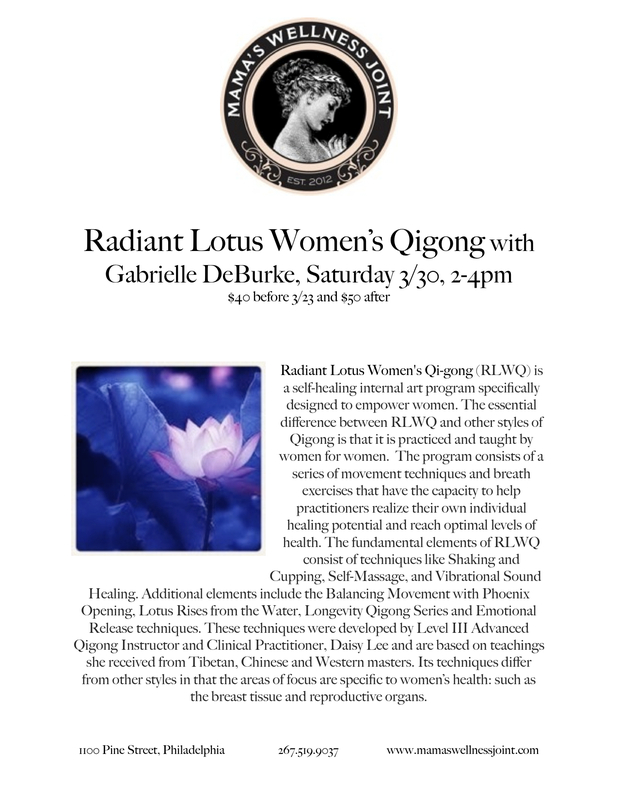 Radiant Lotus Women’s Qi-gong Workshop! Radiant Lotus Women’s Qi-gong Workshop in Honor of Nat’l Her-story Month! Visit MWJ website for more info on workshop! ← Moving Arts, Skill Share, Circus Play & Spin Jam Sunday, 3/17!